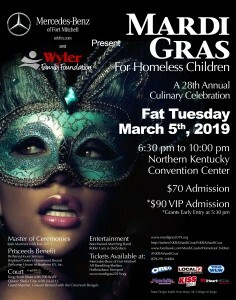 Mercedes-Benz of Fort Mitchell is thrilled and honored to be a part of the Mardi Gras for Homeless Children for 2019! MBFM has been a part of this amazing event every year since opening, now 6 years in a row! The event is held at the Northern Kentucky Convention Center, in Covington, KY. 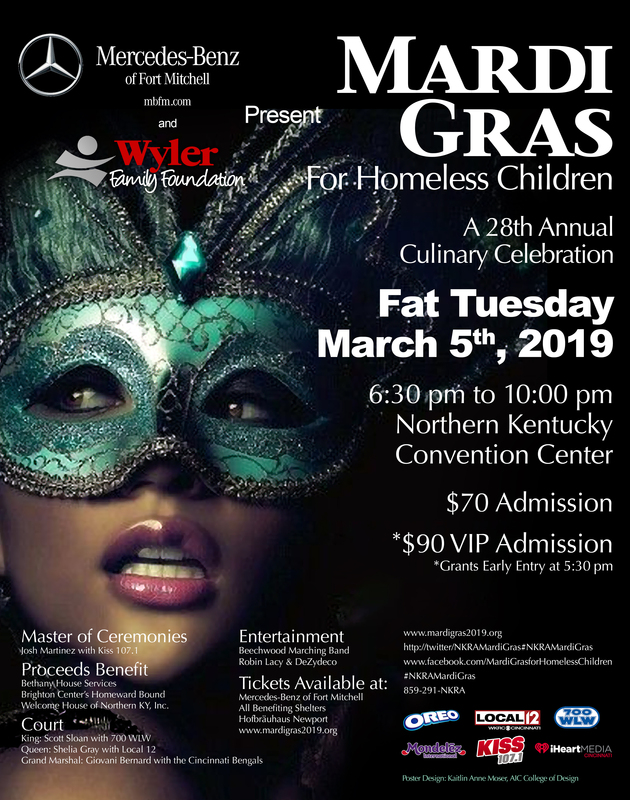 The date is Fat Tuesday, March 5, 2019, and the event starts at 6:30 pm. This incredible event sells out every year, and this year over 2,000 lucky people will enjoy great food and drink from over 45 of the best restaurants, taverns, hotels, and breweries in the Cincinnati and Northern Kentucky area. Mercedes-Benz of Fort Mitchell is a state of the art Mercedes-Benz dealership located just 5 minutes from downtown Cincinnati. They are the only local dealership in the tristate area to win the prestigious Mercedes-Benz Best of the Best award, the highest honor that a dealership can receive, every year since opening, now 5 years in a row! “ Our employees make the difference,” says Don Paparella, “We understand Luxury Service, and our goal is to take care of our clients every time we can, at every opportunity”. “We feel honored and blessed to be a part of this amazing community, and our goal is to turn our clients into family” says Don. Proceeds from this amazing event benefit 4 local homeless shelters, and it will sell out. You can purchase your tickets online, on facebook, or at Mercedes-Benz of Fort Mitchell. Don’t miss the best party of the year!